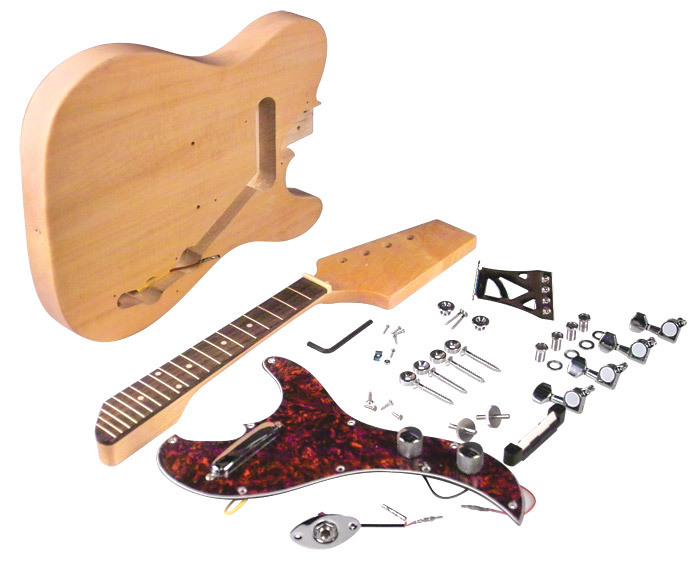 Blank peghead shape with tuning machine holes. Electronic parts are mounted on the pickguard. Wood is sealed for protection against humidity.